‘I Didn’t Know’ comes from the 1975 album Al Green Is Love, to my mind the soul legend’s finest hour (or forty minutes to be more precise). 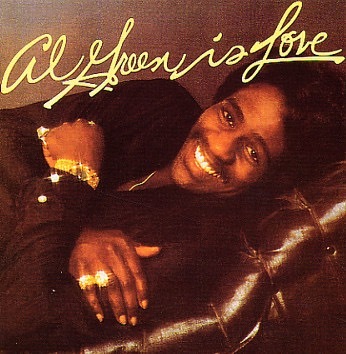 Recording sessions began at the end of 1974, and Al Green’s life was about to change forever. Imagine if you will, being the ex-girlfriend of a bona fide global soul superstar, a man with the world at his feet. You were once the sole object of his desire. You induced in him feverish passion and yielded from his heart some of his greatest love songs. They were for you. It is over now. But how do you obliterate the memory, how do you get those words out of your head? Those songs? 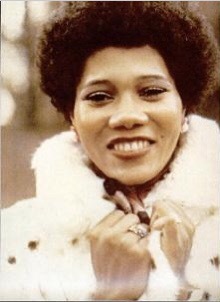 It all proved too much for Mary Woodson White who, on October 18th 1974 entered Green’s apartment, poured scalding-hot grits on his back as he bathed, before grabbing hold of his gun and shooting herself through the head. It was a turning point. Within eighteen months, Green had been ordained a Christian minister, turning his back on his lothario lifestyle. Until then, L-O-V-E really equated to S-E-X, but before the physical began to transform itself into the metaphysical, Green made this album. It’s a schizophrenic collection. If by the time of the albums release, Al was already hard at work polishing off his first homilies for expectant congregations, he was simultaneously shaking his thang in the only way he knew best. So we have on the one hand the ecstatic disco-funk of ‘Love Ritual’, those jabbing upper cuts of Teenie Hodges’ guitar punctuating a hissing aural uncoiling of the libido, the whole thing drenched in orgiastic sighs and perspiration, and the next moment we hear him theologising Eros over the taut rhythms of ‘Love Sermon’ (“Love is the dimension between time and feeling/The distance from heaven to earth/At least that’s my understanding”), the tension ebbing and flowing, Green’s voice oscillating between a whisper and a scream. Here is some seriously archetypal good angel bad angel interplay. Elsewhere, there are more conventional love songs. ‘I Wish You Were Here’ and ‘Could I Be The One’, if not quite the equal of ‘Call Me, ‘I’m Still In Love With You’ or ‘Let’s Stay Together’, nevertheless contain the sort of aching thirst and tugging uncertainty characteristic of those, his most enduring and popular tracks. And then there’s ‘L-O-V-E’, the first song from this album I fell in love with – it featured on the Hi! Greatest Hits compilation (originally released in 1976) which was the first of his albums to seduce my ears. Of course like many other 80s teenagers, I had first heard Edwyn sing ‘L-O-V-E’ (from Orange Juice’s debut album You Can’t Hide Your Love Forever). Who would have thought that such a deep slice of southern soul could put on a floppy fringe and jangle away so discretely as to make it synonymous with the post-punk sound of young Scotland? But the musicianship here is definitively rooted in Memphis. Teenie Hodges’ guitar possesses all the economy and gravity (in every sense of the word) of Steve Cropper. To borrow a line from Bawb, you could say it always “kinda hits you from below.” Meantime, his brother Charles’ aireated soda stream organ sounds like a babbling brook flowing into a bubbling geyser. Those Hodges Brothers (with Leroy on bass) could play some.